Fact-checkers at the Washington Post, PolitiFact and Factcheck.org exposed the half-truths behind an ad airing in New Hampshire that attacks John Kasich on his record as Ohio governor, while the Center for Public Integrity and the Center for Responsive Politics followed the money trail to show that the ad’s sponsor, the “dark money group” the American Future Fund, benefits from the conservative Koch money empire. 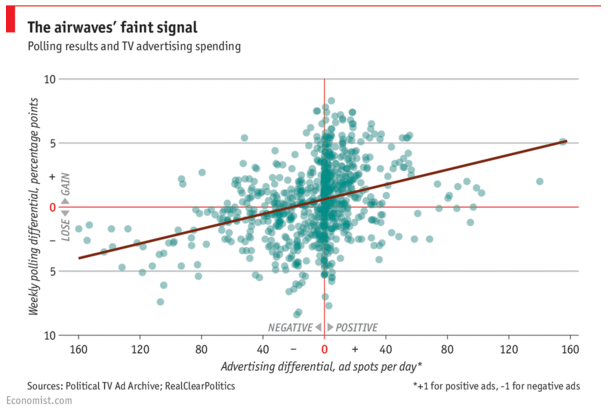 An Economist reporter, Idrees Kahloon, crunched data on political TV ads in Iowa and New Hampshire messaging alongside polling data and concluded that such ads have an effect on voters–but it’s an costly way to win a race. 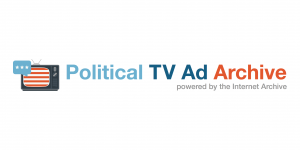 The Political TV Ad Archive, a free, new project from the Internet Archive, launched just two weeks ago today in Washington, DC, but is already inspiring journalists, data visualizers, and more to look at political TV ads in a new way. The project tracks political TV ads in 20 markets in eight key primary states, and is made possible by funding from the Knight News Challenge and the Democracy Fund, as well as individual donors. With all eyes now on New Hampshire, which will hold presidential primaries on February 9, Internet Archive staff are continuing to work to keep the project up to date with the latest political TV ads. Visitors to the site can watch the ads archived, as well as see continually updating statistics on where and when the ad is running. 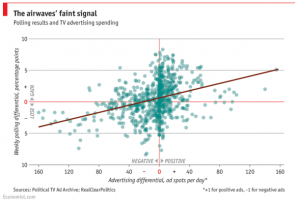 Each ad is accompanied by underlying, downloadable data on how often the ad has aired, on which TV stations, where, and when. These data also include information on who is sponsoring the ad, the subject(s) covered in the ad, which candidates are targeted in the ad, and the type of legal designation of the sponsor — e.g., super PAC, campaign committee, 501(c), and so on. In addition, the site links to fact-checking and follow-the-money journalism by the project’s partners: the American Press Institute, the Center for Responsive Politics, the Center for Public Integrity, the Duke Reporters’ Lab, FactCheck.org, PolitiFact, and The Washington Post’s Fact Checker. The technology behind the new project is a story in itself: the Internet Archive is using an open source tool known as “audfprint” to track down airings of political TV ads in the television broadcast airwaves. Building on this and the engineering created by Tracey Jaquith, TV Archive architect, Dan Schultz, senior software engineer for the Internet Archive’s Television Archive, created a new system, known whimsically as the “Duplitron.” This tool is also open source and should prove useful in other video/audio analysis projects. Read more on the technology behind the project here, and follow the project on Twitter @PolitAdArchive. 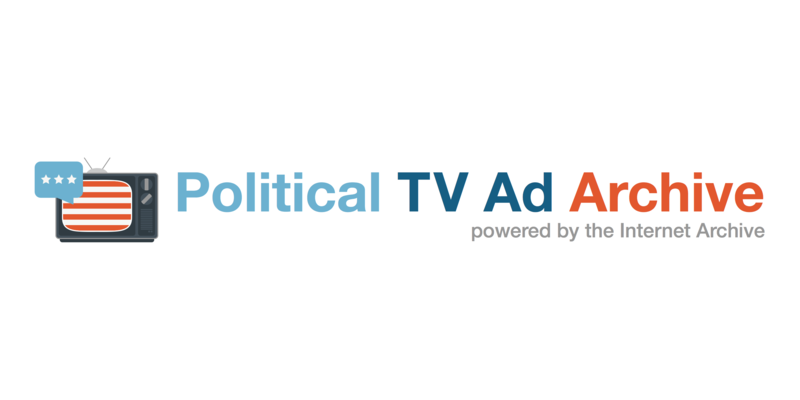 See video of the Political TV Ad Archive launch in Washington, DC on January 22 here. The National Press Club Journalism Institute was a cosponsor of the event. This entry was posted in Announcements, News and tagged ads, American Press Institute, audfprint, Center for Public Integrity, Center for Responsive Politics, Democracy Fund, Duke Reporters' Lab, elections, Factcheck.org, Knight News Challenge, metadata, open source, Political TV Ad Archive, politicals, PolitiFact, Washington Post's Fact Checker. Bookmark the permalink.